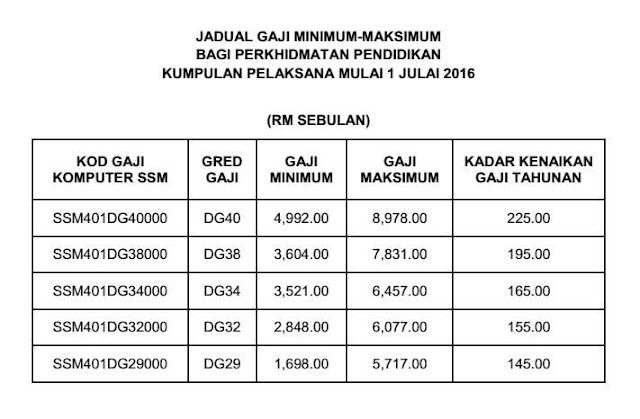 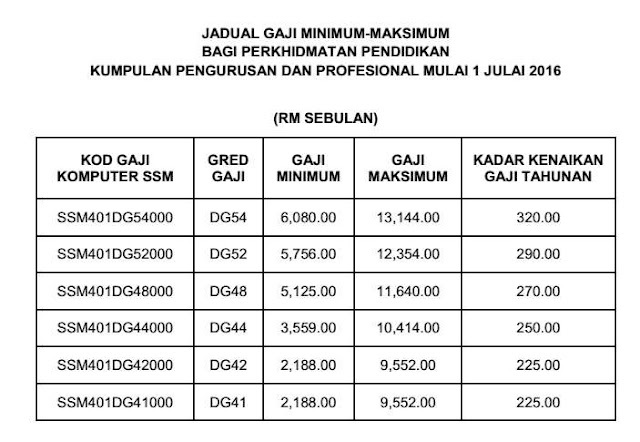 New jadual gaji for every DG grade staring to take effect from 1st July 2016. 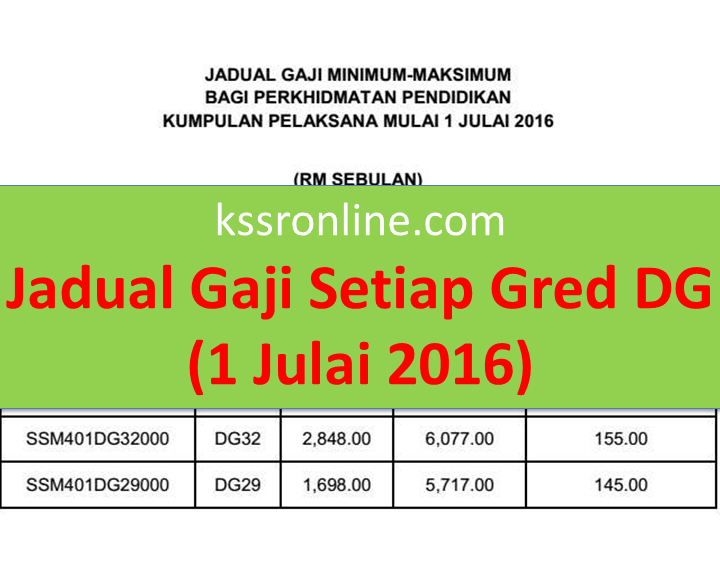 Every grade would enjoy one kenaikan tangga gaji. 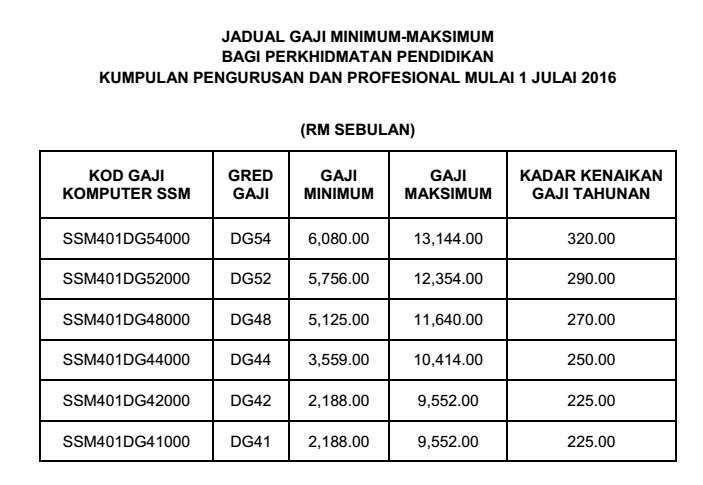 Please refer to the table below for more info. 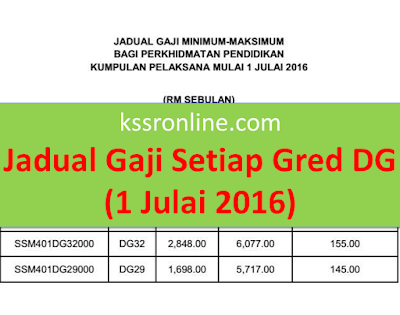 For more detail, teacher can refer to the circular below.